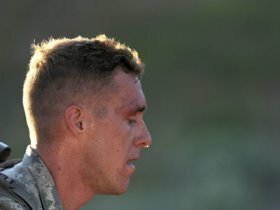 At the end of the competition, held at Camp Williams, Utah, Specialist Cruser Barnes, a cavalry scout with the Hawaii Guard’s Troop A, 1st Squadron, 299th Cavalry Regiment, was named Soldier of the Year, while Sergeant Robert Cunningham, a combat engineer with the West Virginia Guard’s 119th Engineer Company (Sapper), was named the NCO of the Year. 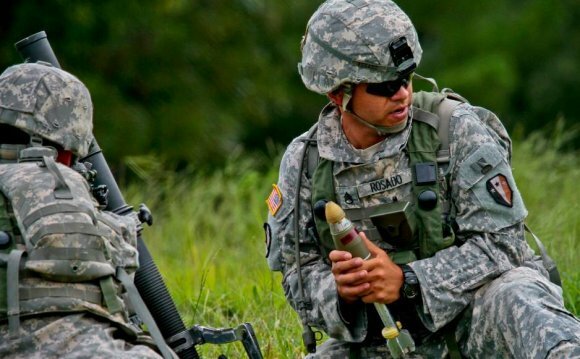 Both will move on to compete in the 2015 all-Army Best Warrior Competition in October at Fort A.P. Hill, Virginia, where they will compete against Soldiers from throughout the Army to be named the Army’s Soldier and NCO of the Year. The Utah competition stood as a grueling three-day test that stressed competitors both physically and mentally. 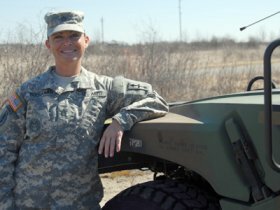 To make it to the Army Guard-level competition, the competitors worked their way up from winning unit-level Best Warrior Competitions and through several more competitions. For Cunningham, this year’s event marked his second time competing in the Army Guard-level competition. He took part in last year’s competition at Camp Joseph T. Robinson, AR, and said that while both competitions were equally strenuous, the terrain and higher elevation of Camp Williams brought added challenges. The competition began with the Army Physical Fitness Test, consisting of pushups, sit-ups and a two-mile run. From there, competitors toughed it out in a number of events that covered marksmanship, close quarters combat, land navigation, casualty evaluation and a variety of other tactical and technical skills. In all, they ran or traversed more than 20 miles of terrain over the course of the competition. Though it’s designed as a competition, the larger focus is the training value for those in the event, Conley said. Many of the events were developed and supervised by Soldiers from the Utah Guard’s 19th Special Forces Group. For Barnes and Cunningham, the next step is putting into practice what they’ve learned in preparation for the all-Army competition. Both said they expect it to be even more grueling. If you’d like to pursue a career that lets you push yourself to new limits, visit the National Guard jobs board and contact a recruiter today.